This 3/2 home is 1.4 miles away from the new 95 diamond interchange. Last year, voters approved a 150$ Million bond referendum for road repair andreconstruction! Get this gem now and watch your property value rise! 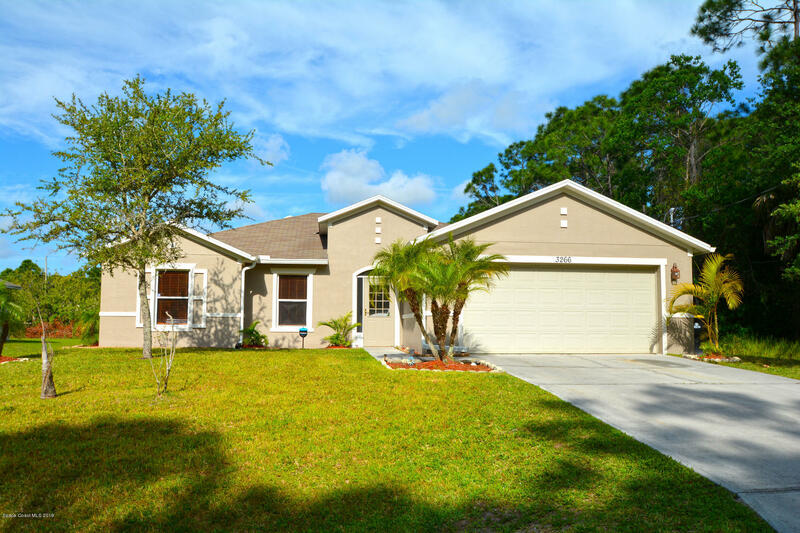 This move in totally updated ready home is complete with the following: Ceramic tile in Entry way and Back patio. New garage keypad. Tile in wet areas and great room. New carpeting with premium padding (kid, pet, and mold resistant) in all bedrooms.New premium paint in both Exterior/InteriorNew coach lights and wiring for back flood lights10 window treatments included - 8 faux wood blinds/ 2 weave rolled blinds. Main Bath: New vanity top with premium delta bronze faucet fixtures, matching frame mirror and lighting, real wood cabinets. Storm shutters.